As one of Canada's biggest cities and most popular visitor destinations, Vancouver experiences a high demand for hotels of all standards and variations. 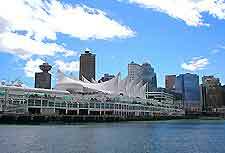 Fortunately, the city of Vancouver has a solid tourist infrastructure, which includes an excellent selection of accommodation, bed and breakfasts, inns and motels, many of which are surprisingly inexpensive and affordable. 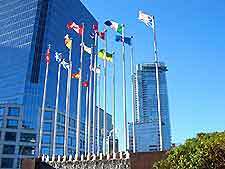 Located on the eastern side of the city is a particularly poor selection of cheap lodging, while in Vancouver city center you will discover a far more appealing array of hotels, lining roads such as Burrard Street, Howe Street and Nelson Street. Many especially notable hotels and similar accommodation options reside within the peaceful residential district of West End, standing alongside Stanley Park and being just a stroll from downtown. Many visitors choose to stay on the outskirts of the city, at one of the hotels or B&Bs lining the North Shore, which are particularly well-placed for exploring the Capilano River Regional Park and the Lynn Canyon Park. More central and very reasonably priced accommodation is to be found around the Chinatown and Gastown districts, where the lively nightlife is a particular highlight. A number of extremely cheap hotels stand around the Granville Street Bridge, although this part of Vancouver has become known as something of a red-light district. 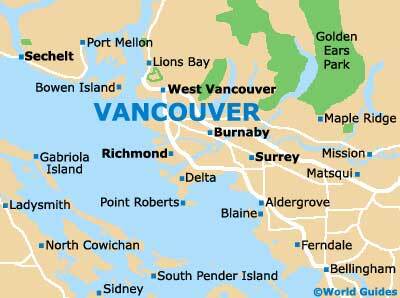 Those looking for accommodation in West Vancouver will find that hotels along the Southwest Marine Drive are conveniently near to the Horseshoe Bay ferry terminal. Hotels in West and North Vancouver are extremely popular due to their relative proximity to the hiking trails around the Capilano River, the Grouse Mountain and Mount Seymour. However, do bear in mind that reaching the downtown district from these locations can often be time consuming, with regular traffic delays around the Lions Gate Bridge. In downtown Vancouver, luxury accommodation is prevalent, with an abundance of four- and five-star hotels being based around Burrard Street (La Grande Residence, the Sheraton Wall Center and the Sutton Place Hotel), Canada Place (the Fairmont Waterfront and the Pan Pacific) and West Georgia Street (the Shangri La and the Four Seasons). Visitors wanting to escape the city can head to Vancouver Island, where resort-style hotels with oceanfront views are available in a range of price brackets. Out of season, lodging rates drop by up to 30 percent, with local accommodation often featuring enticing winter break packages.